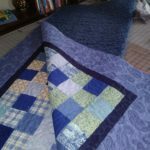 In my 52nd year, I’ma learn how to weave. 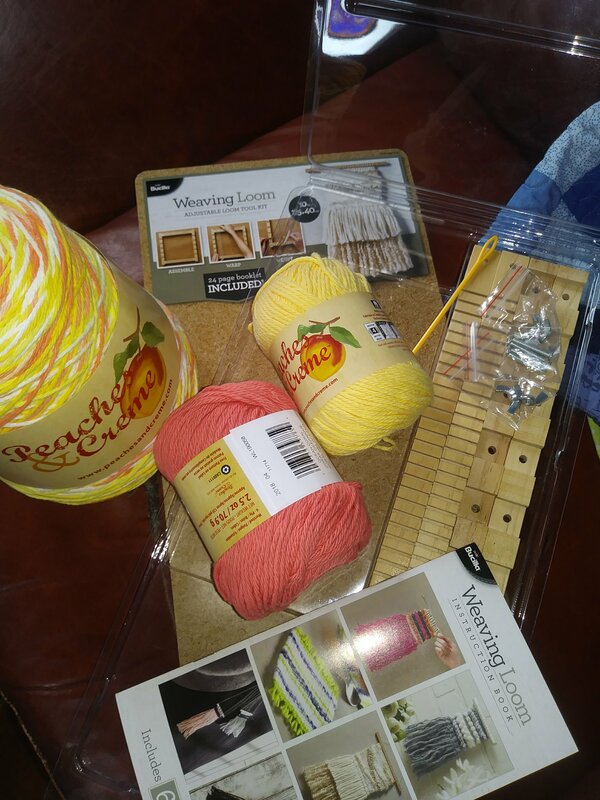 First up, we need some dishcloths, so I bought kitchen cotton. 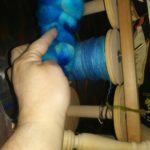 I’m sure none of you will be surprised to learn that I’ll eventually move on to using my own handspun wool if I like weaving. 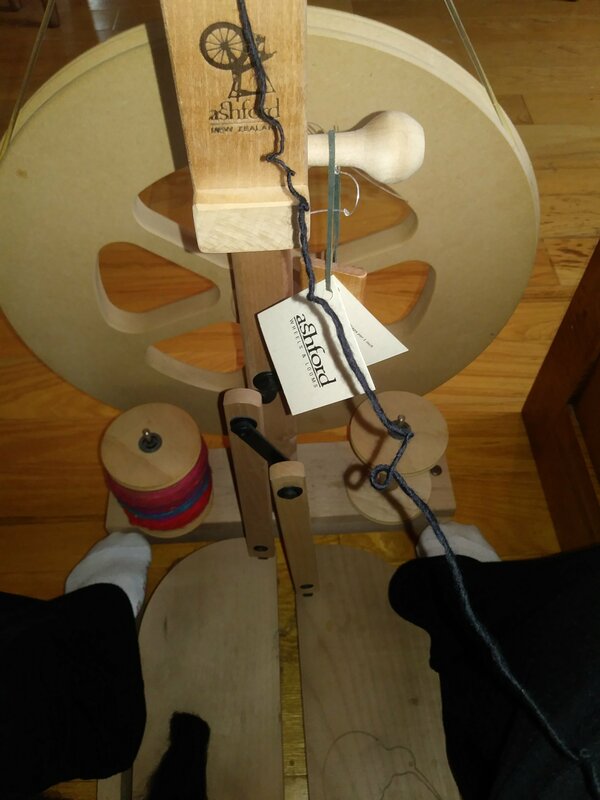 Consider this 10 inch loom and the cotton to be a tester kit. And yes, I do plan to break the rules from the get go. The solids will be warp. 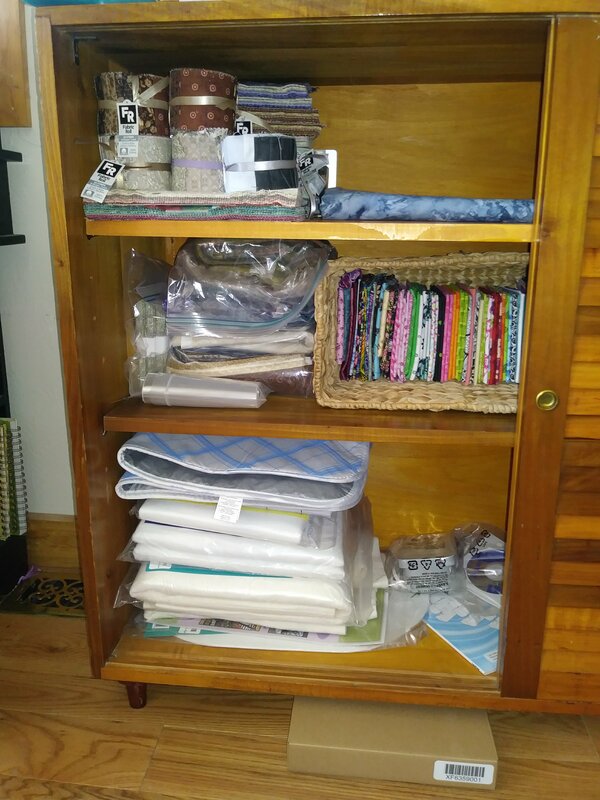 This entry was posted on July 24, 2018, in cass entertains herself, cass makes things. 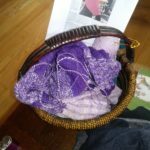 This entry was posted on July 22, 2018, in cass makes things. 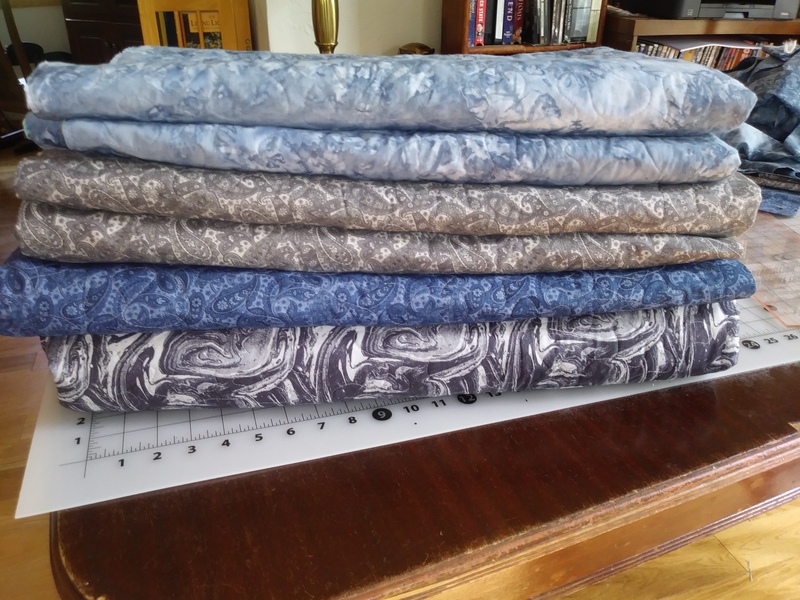 And I’ve spent 2 days longarming, which resulted in six quilts ready for binding. And I’ve taken stock of my UFOs. Please note that this only accounts for the downstairs projects. I’ve got more hidden in the attic. 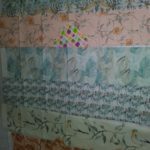 The six stacked quilts are included, because they aren’t finished until the binding is done. This also does not include the books I plan to read. I’d write more, but I clearly have other things to do! 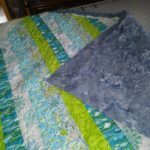 This entry was posted on July 5, 2018, in cass makes things. In the past 10 days…. 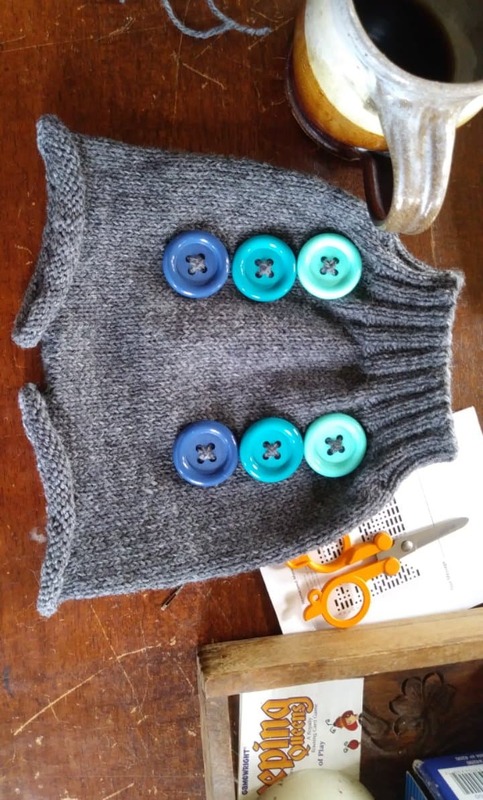 I finished this top for my grandson as soon as I got my design wall up. Then I made him some fancy pants to wear at his birthday party. 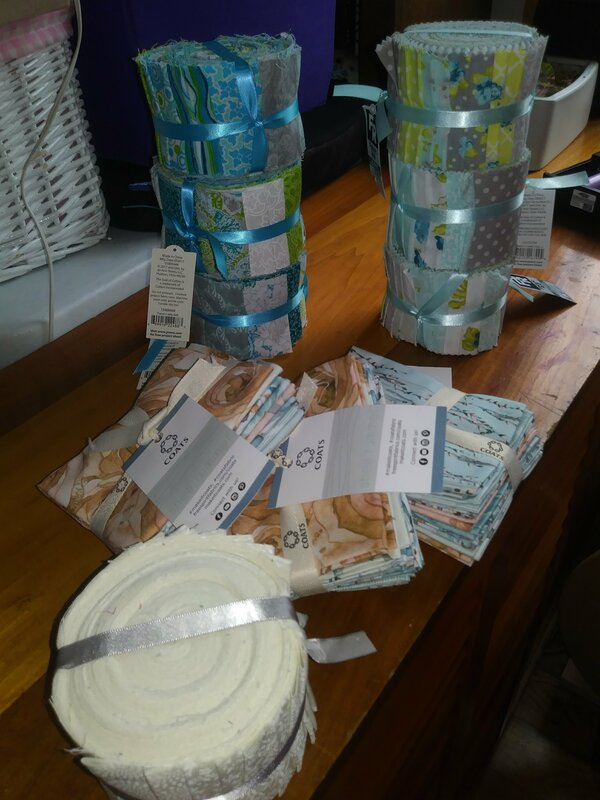 I used BOGO coupons at Joann to buy delicious precuts for grandchildren. 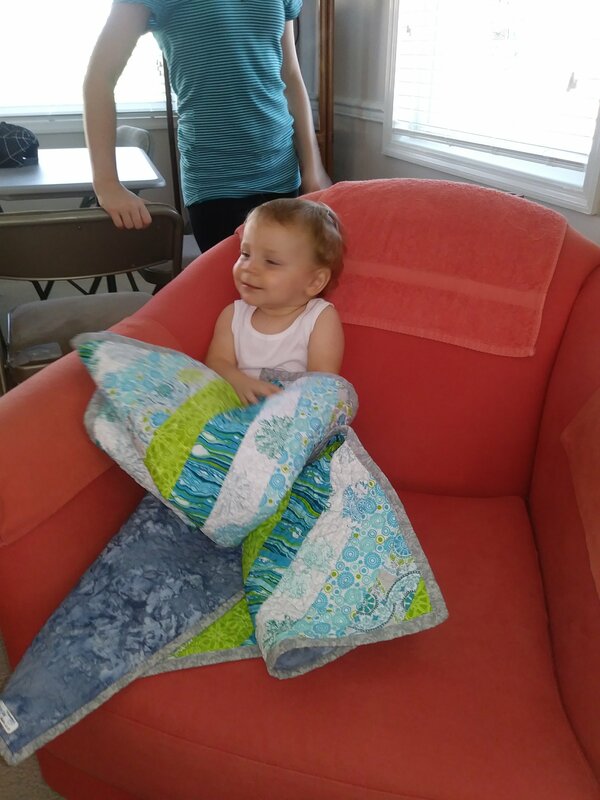 I drove to North Carolina to attend that birthday party. 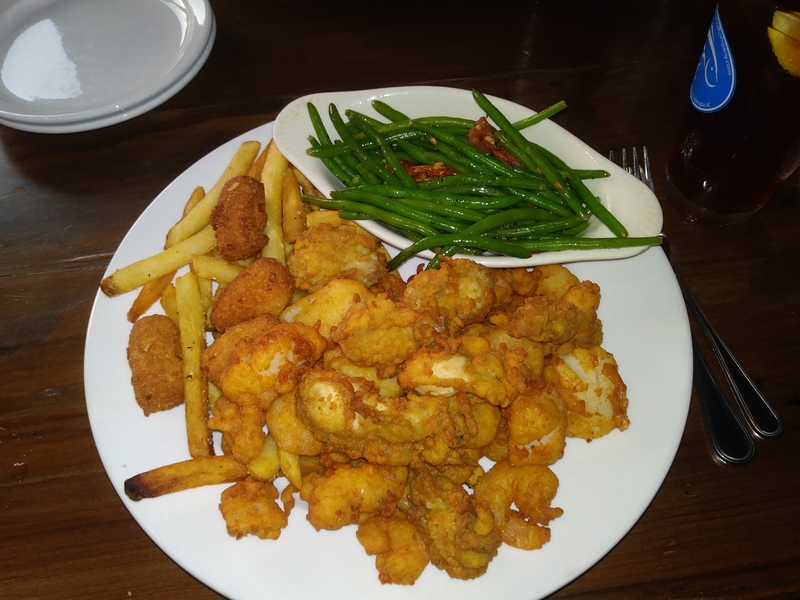 I stopped to eat seafood and deliver the finished third Fourth Doctor Scarf. I failed to take a single picture of the grandchildren, the children, the party, or any other weekend shenanigans. 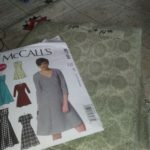 And then I drove home, slept, and woke up to start some designing. 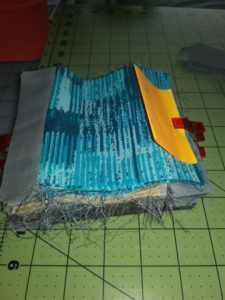 This entry was posted on June 26, 2018, in cass goes, cass makes things. 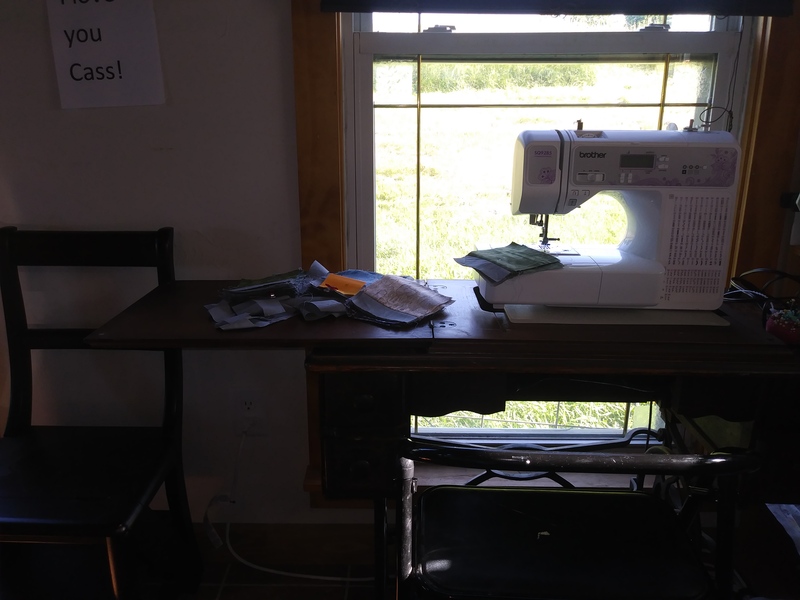 It ended with bringing this antique sewing machine out of my room and into the common area. It was my grandmother’s and possibly my great-grandmother’s. 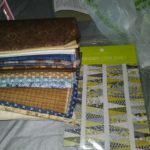 And then the folding and organizing of fabrics. 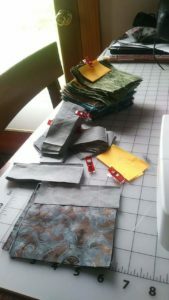 When I’m ready to sew, I’ll bring the tall table out of my room to serve as a cutting and pressing station, if the project is too big for the sewing machine table fold-out. Now I need to figure out where to mount the design wall! See, I told you reading causes trouble! 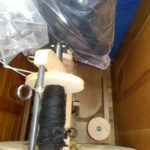 This entry was posted on June 12, 2018, in cass makes things. Warning, many pictures ahead! It was a very productive weekend. 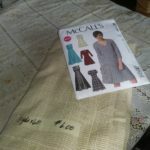 Project 1: Run seams around the edges of this top to prepare it for the longarm. 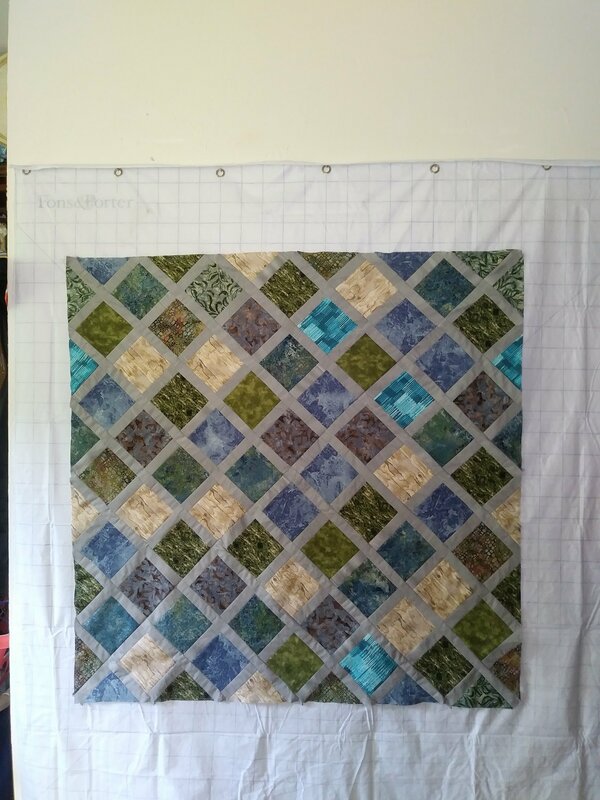 Project 2A: Rip out these 15 year old lines of quilting to prepare this quilt for the longarm. 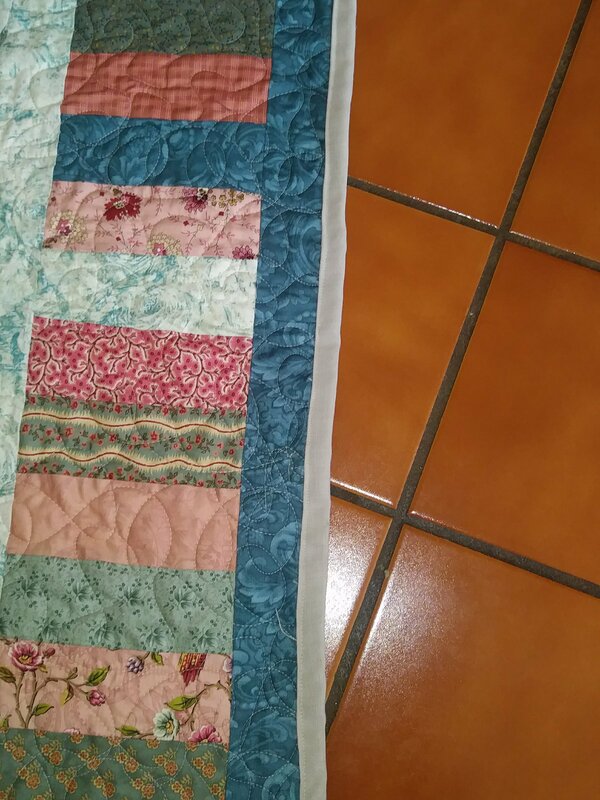 The backing could not be saved. I’m not heartbroken, it was just polyester sheeting. 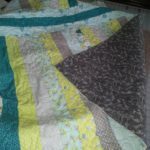 Project 3A: Self-bind my first quilt. 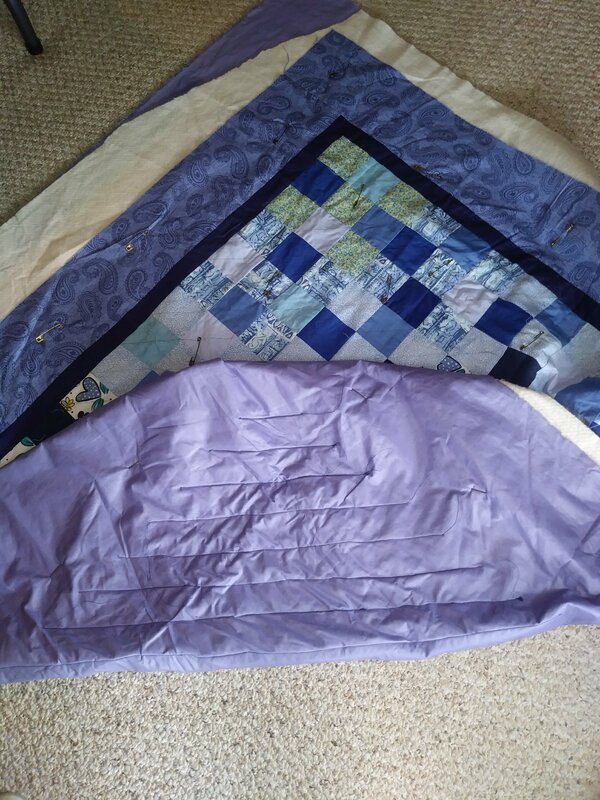 Project 4A: Bind this quilt in a fairly normal way. 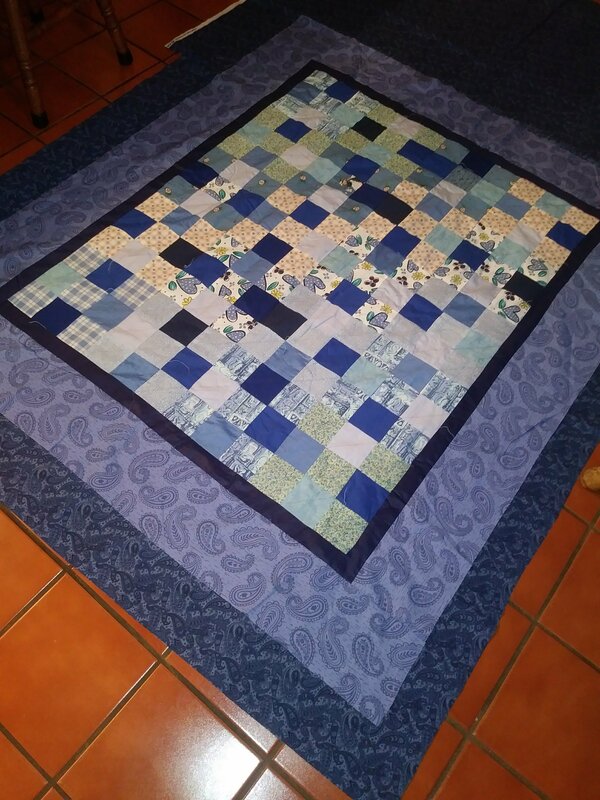 Project 2B: Piece newly acquired backing for 15 year old quilt. 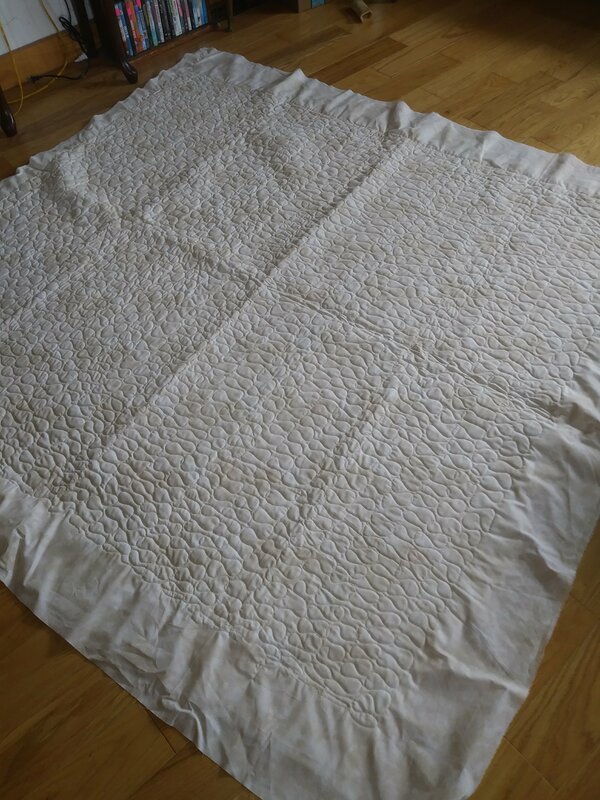 Projects 3B and 4B: Wash and dry the completed quilts. Project 6: The eternal scarf. 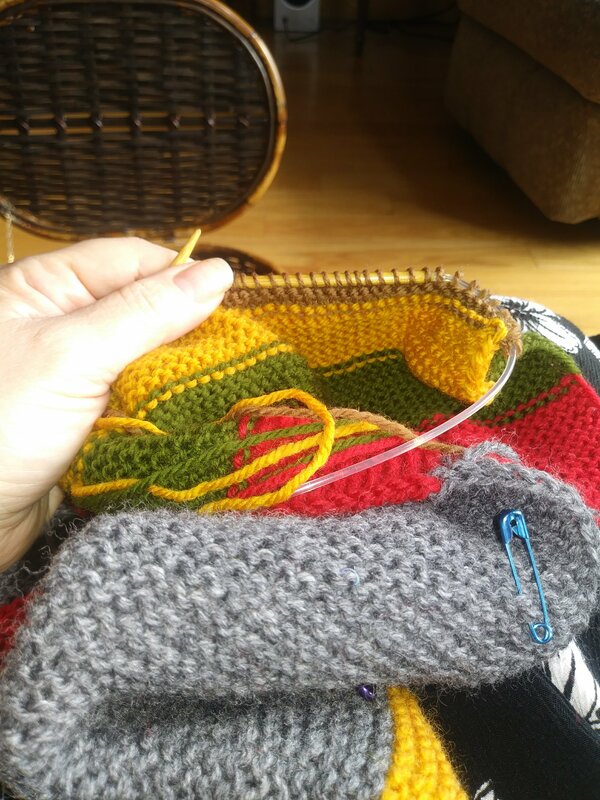 I’m on the last stripe. This past Saturday morning, I went to Patti’s and had a lesson on the long arm. 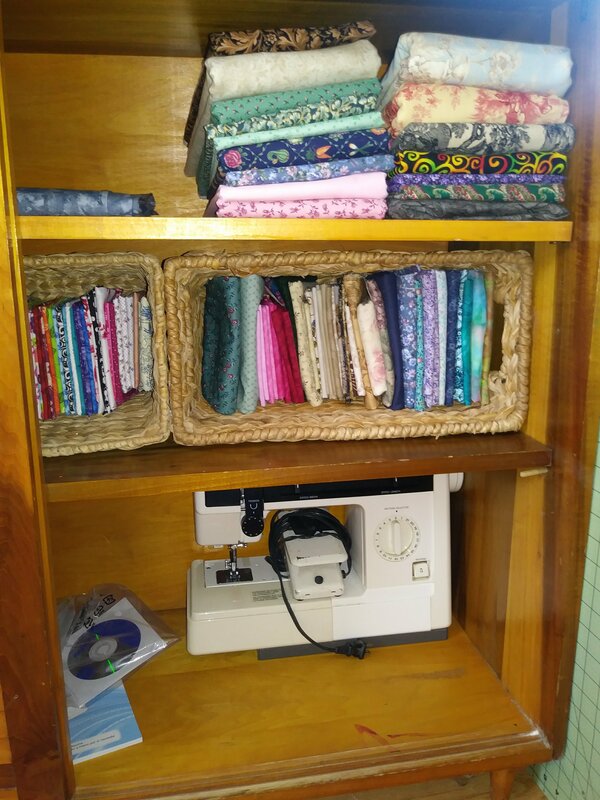 If you haven’t used/seen/heard of a long arm, it is a huge sewing machine on rails that allows you to quilt. 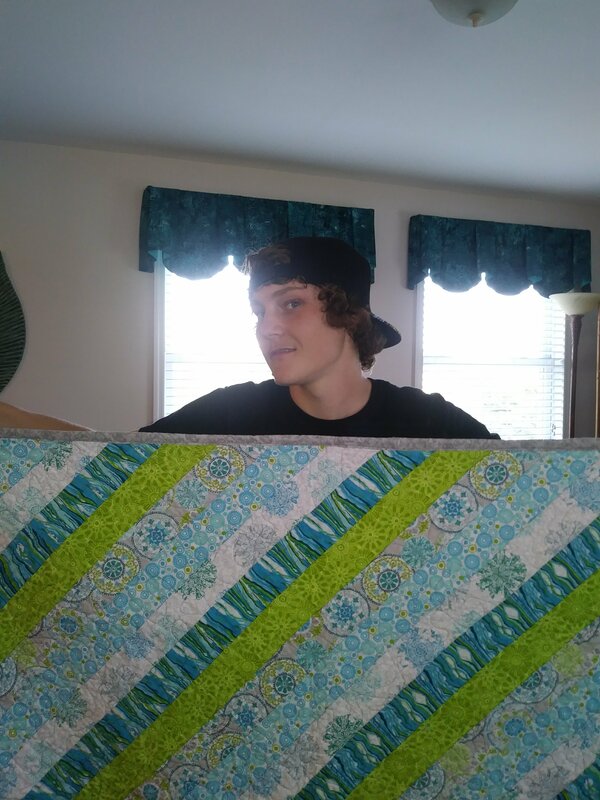 You use it by standing and basically driving the machine across the quilt. It’s a bit like drawing with your whole torso. And it’s FAST. 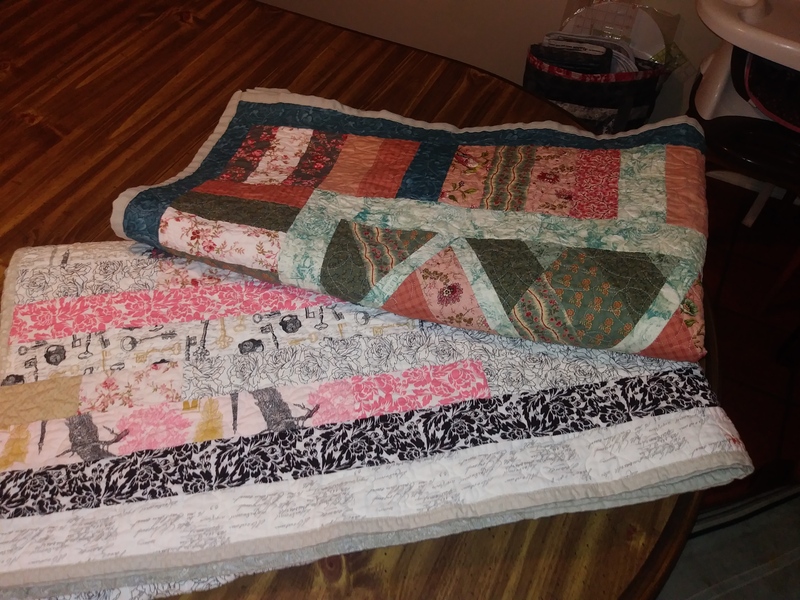 I quilted these two in about 5 and a half hours, and that included a break to go to JoAnn to buy backing for the second quilt and eat lunch at Burger King. 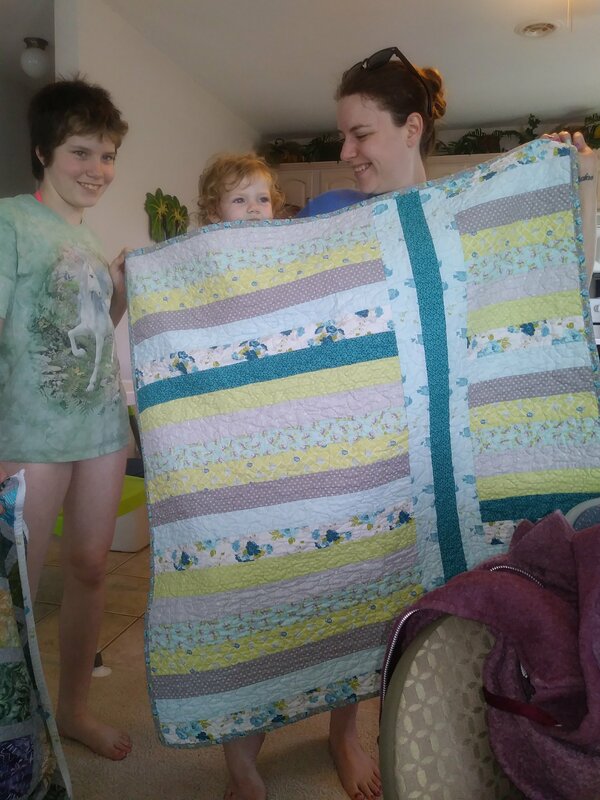 Guys, that first quilt, the one that was so katty-wompus that I doubted whether to even quilt it? 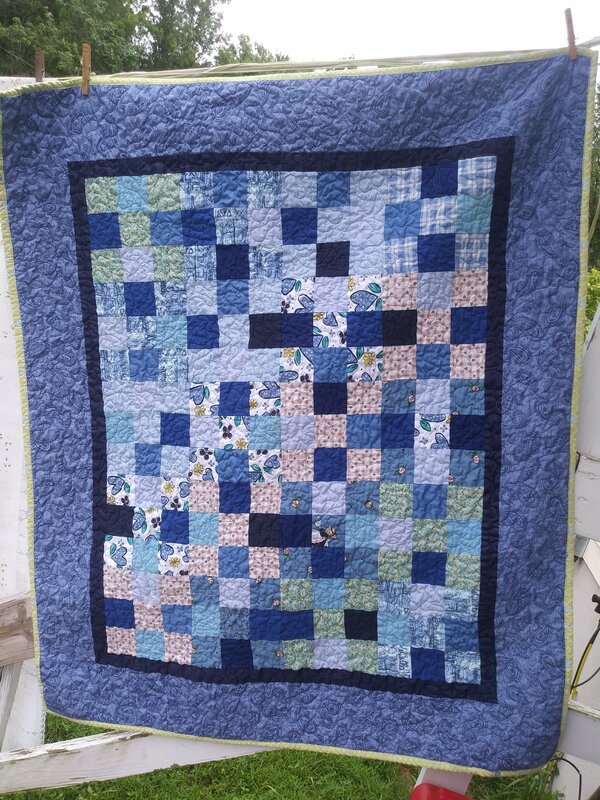 Yeah, it’s quilted, and I totally won the “can this quilt be saved?” game. It’s the first one you see below. 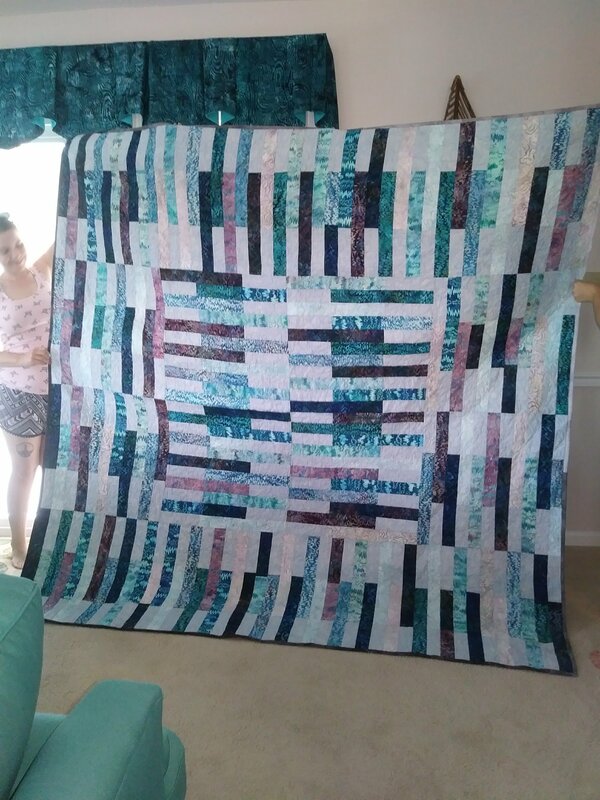 The second is the jelly roll race quilt. 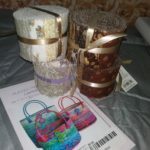 I’ve left these photos large so you can see the detail. 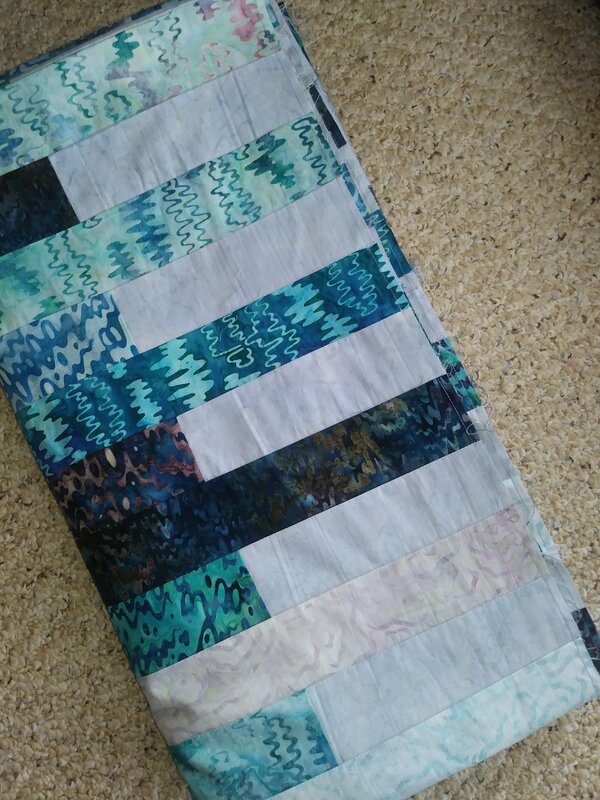 You may notice that I broke all the rules in quilt number one. 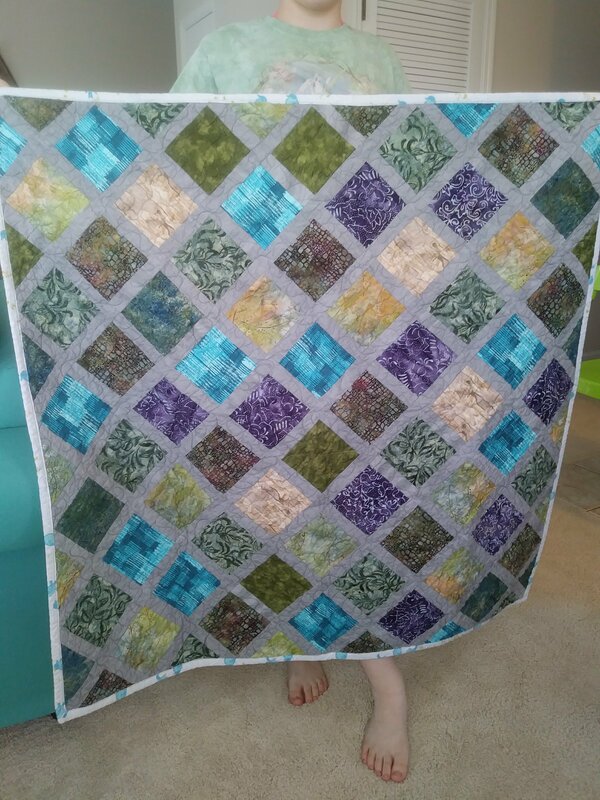 The quilting is not evenly spaced. 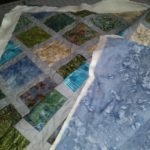 I crossed over my own quilting lines with wild abandon. And. I LOVE the way it turned out. Love it. 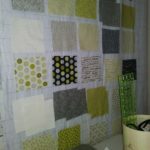 I like the second quilt, too, but this crazily quilted first one? Love. 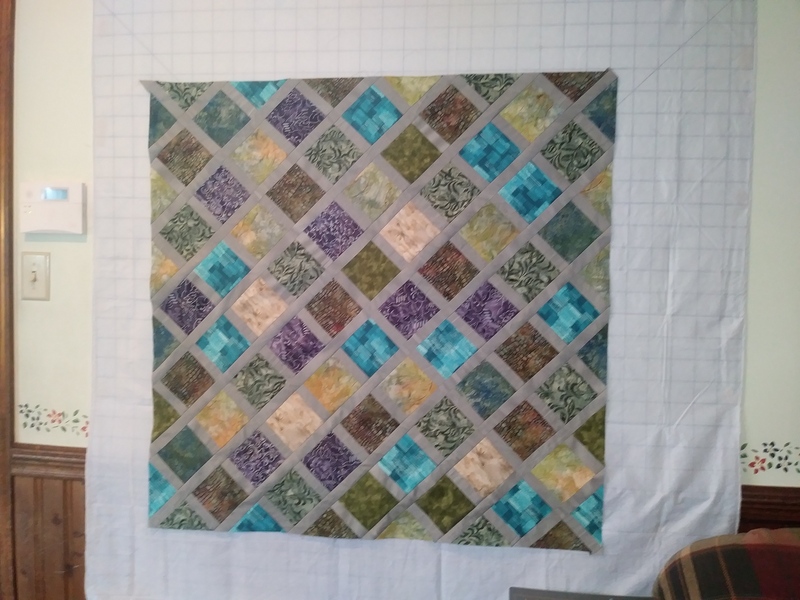 For this one, I tried to use the same basic quilting motion and be more regular. I avoided crossing the lines for the most part, but made a few because I like the way they look. 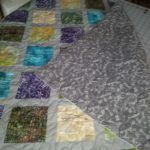 As I was quilting this one, I realized the error in my thinking that the backs of quilts are just additional space for piecing. No. 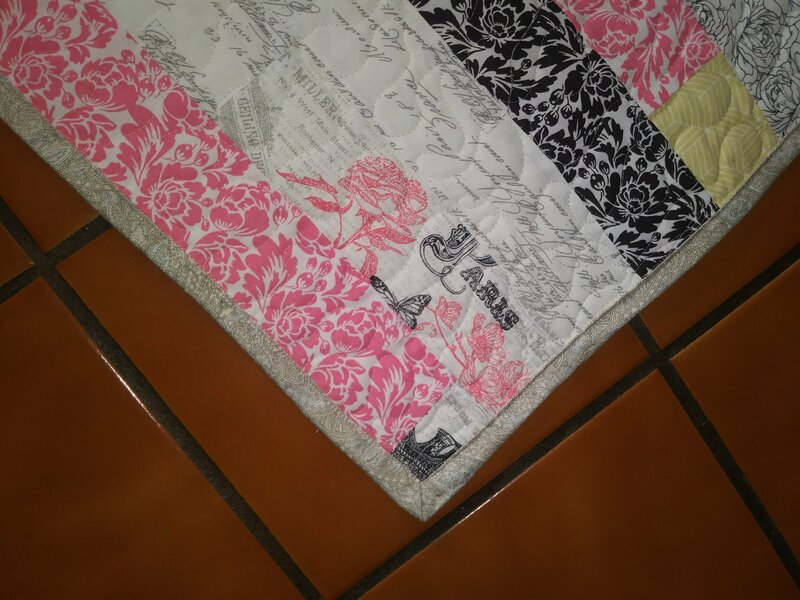 The backs of quilts are there so you can see the quilting, which gets lost on the fronts. 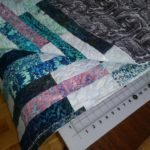 I’m not going to be backing my quilts with quilts. 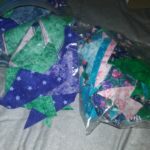 I’m going to back them with backing and quilt the crazy random loopy life out of them in somewhat visible thread and I am going to enjoy driving that long arm all over my quilts! 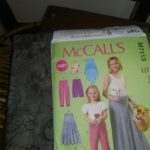 I took some time this morning to decide other things, like what I want to teach the kids this summer and how far I need to get on various crafty goals to feel caught up. It’s a lengthy list for my 12-20 days off. We’ll see how it goes. And my final decision for the morning was…I’m breaking up with this scarf over the weekend. 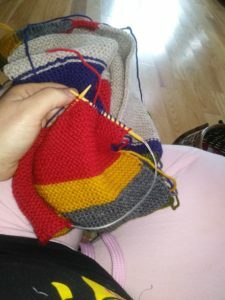 I’m going to finish it or be finished with it, because I have been knitting on it for 3 months, it’s over 10 feet long, and I am so over garter stitch right now! 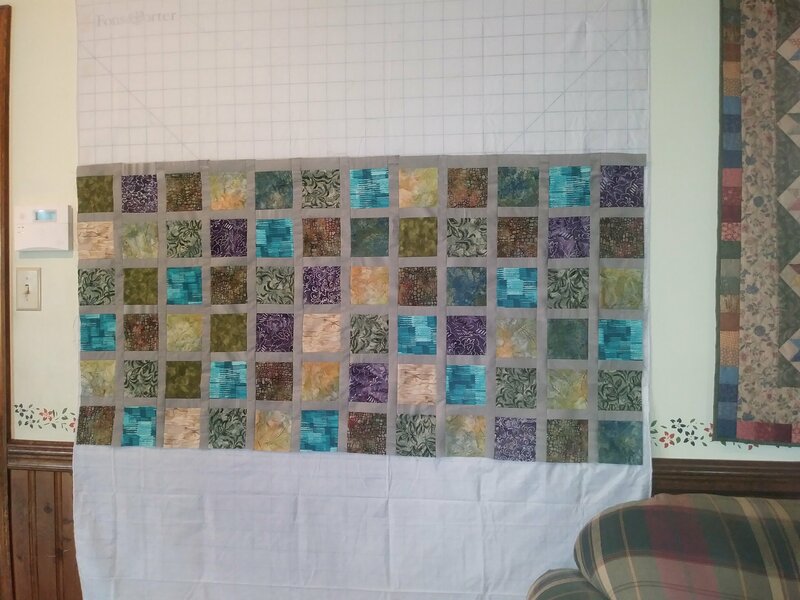 I’m over 4/5ths done, and well into the home stretch. I think I can make it. 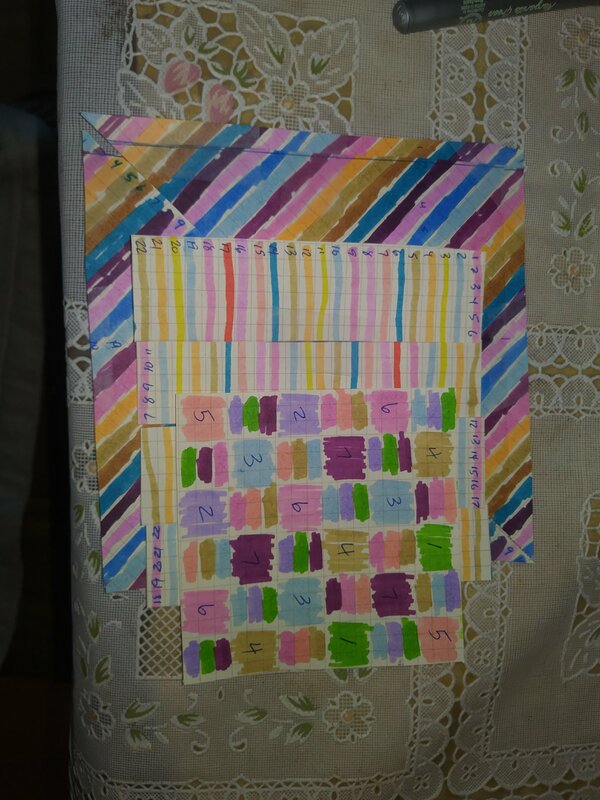 But regardless, sometime during this weekend’s crafting retreat, I’m going to be done with this piece. 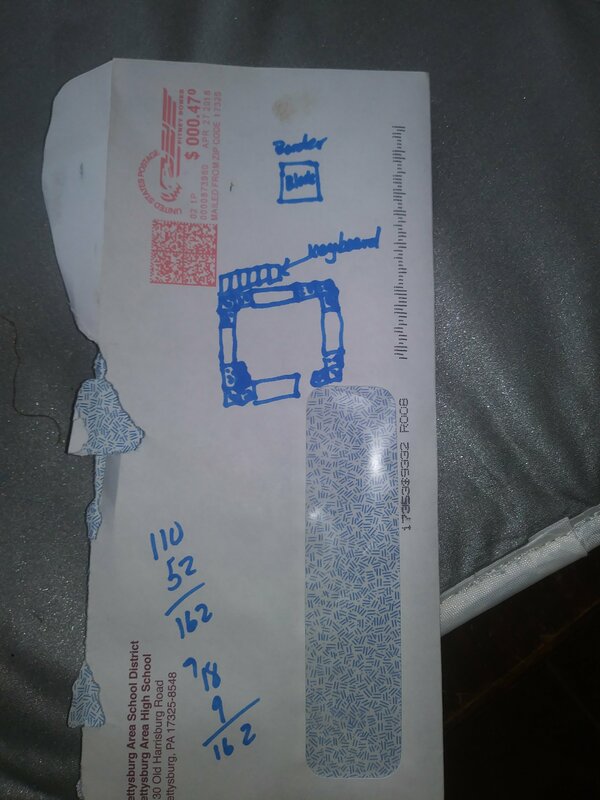 This entry was posted on June 4, 2018, in cass makes things. 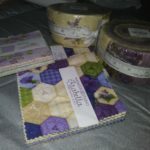 Yesterday began, as my Saturdays do, with quilty goodness. 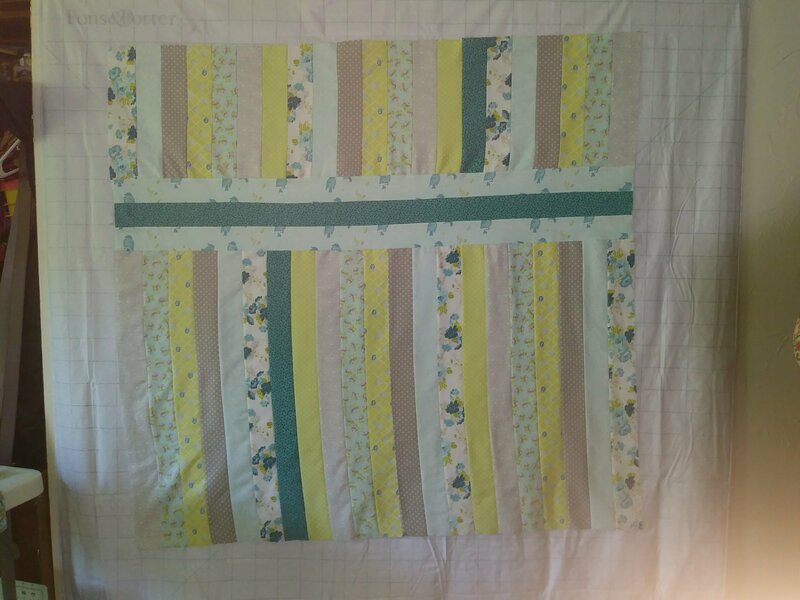 I started sewing strips to squares for the back of the last quilt I showed you. I got about half way done. 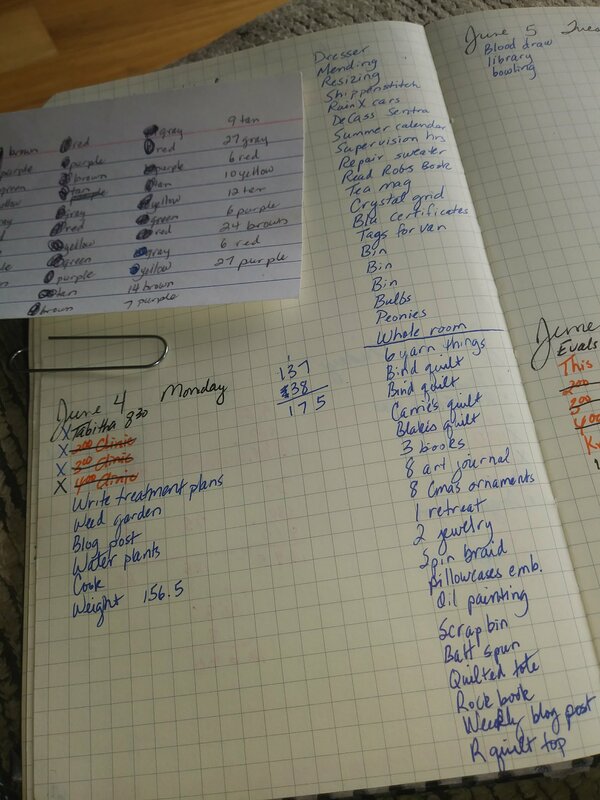 I also took a few minutes to sketch out my basic plan, lest I forget what I’m doing. 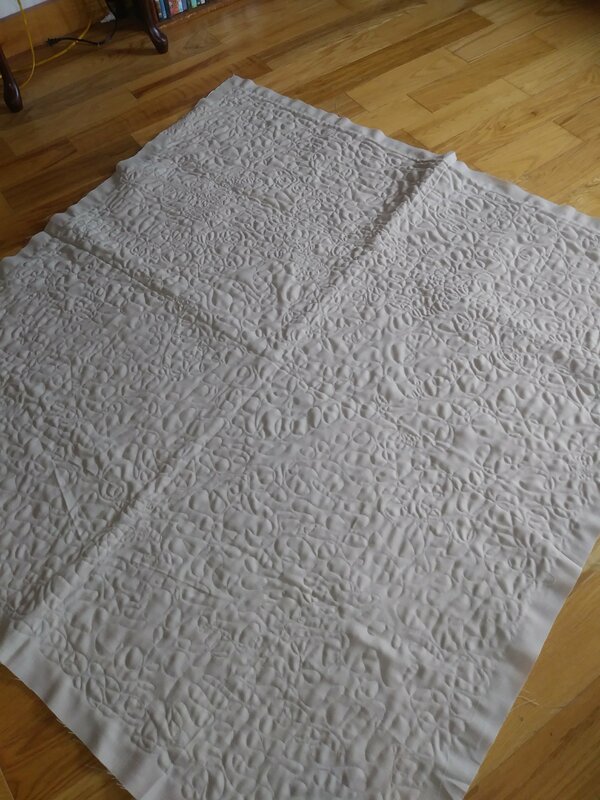 It’s not exactly a beautiful picture, and probably not clear to anyone but me, but I understand it, and it’s safely tucked under the ironing pad so I can reference it later. 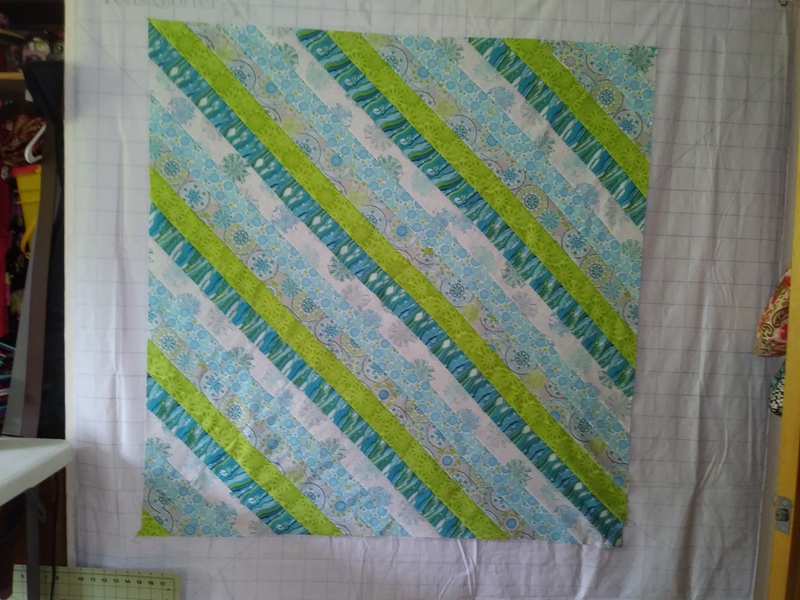 When I get to the machine again, I’ll need to cut more strips. 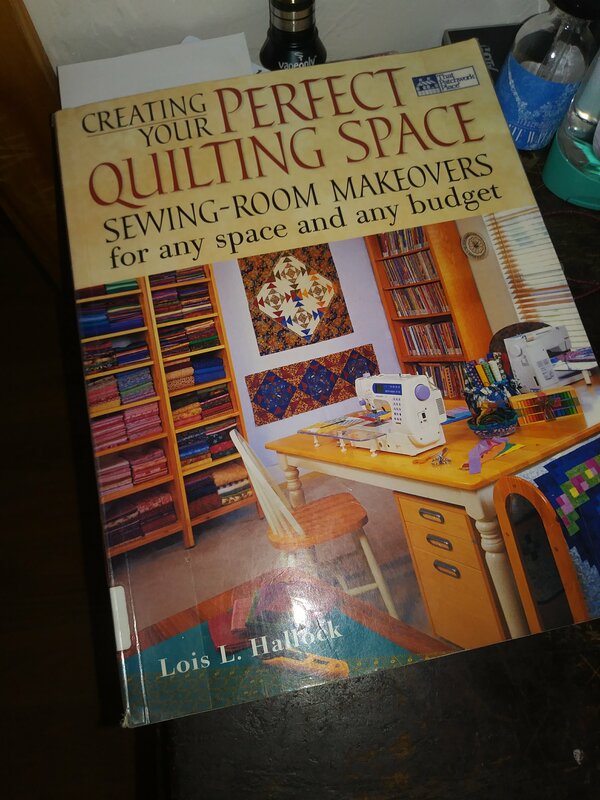 I can usually squeeze that type of thing in during week nights, so when next Saturday rolls around, I should be able to just sit down and sew. Next on the project list was gardening. 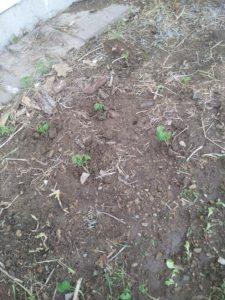 The last of my indoor starts went in the dirt, including the okra you see on the right. The peas were directly seeded three weeks ago, but they are so pretty, I thought they needed to be memorialized. 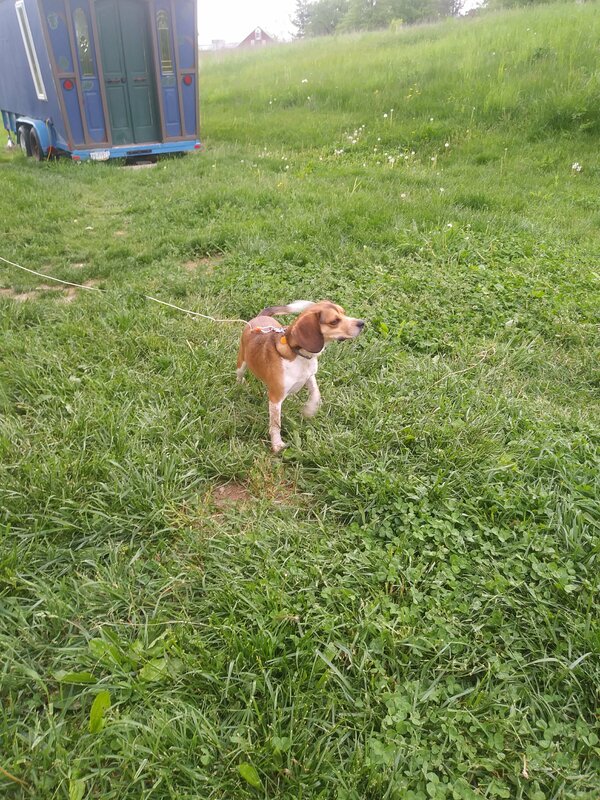 We’ve got two 4×3 contained beds, a 4×4 plot in the corner of the house, a random mound in the back yard, a patch over the septic tank, and multiple containers, in addition to the two fenced gardens that we haven’t done anything with this year. One of my housemates is a plant genius, and she keeps me from disaster by reminding me of things I haven’t considered. 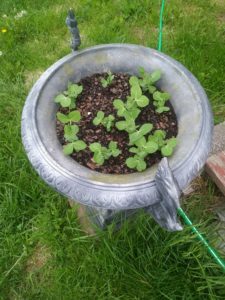 We are fans of the green and growing things! This year, I’ve separated the squashes from the tomatoes, peppers, okra and cucumbers, since they overgrew and starved those things of sunlight last year. I’ve planted the squash only with trellised beans this season, and we’ll see what happens. 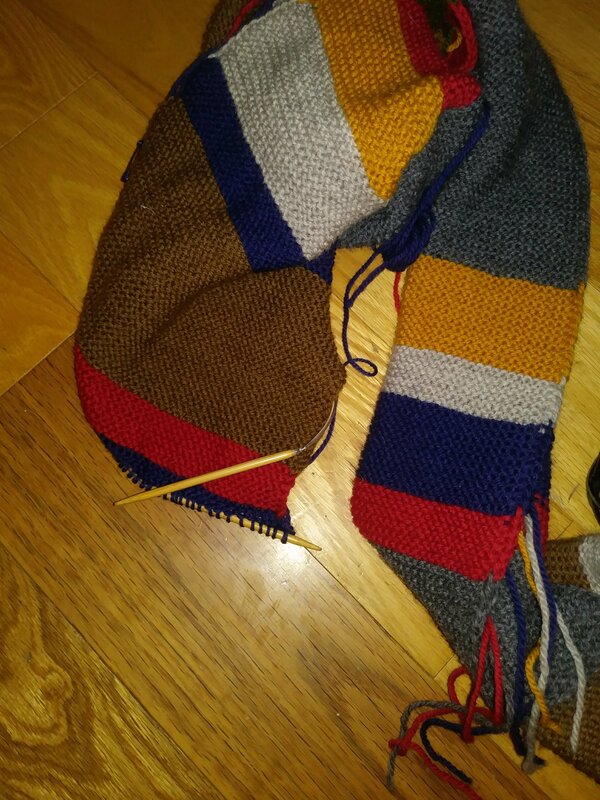 I also did a bit of knitting on the Third Fourth Doctor Scarf, and I’m creeping up on halfway done. 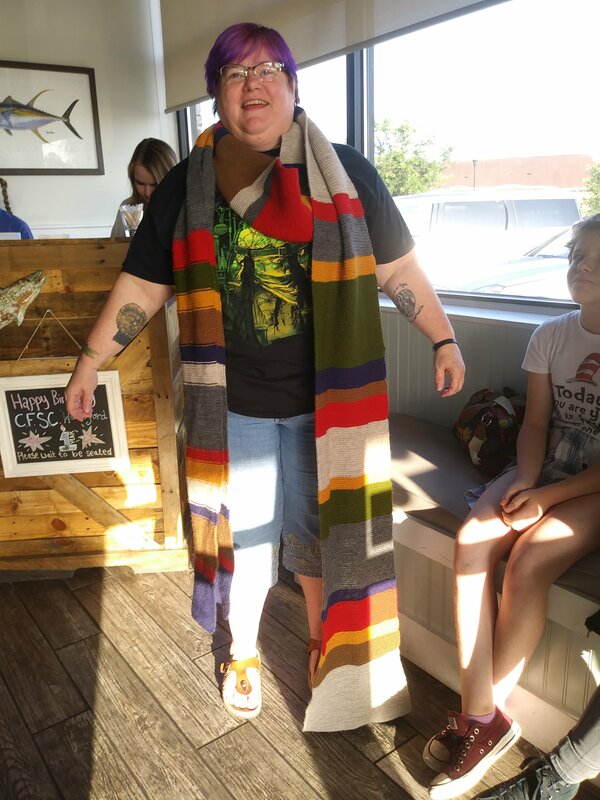 Of course, now that Sarah lives in North Carolina again, she’ll have little practical use for a huge woolen scarf, but the point of Fourth Doctor Scarves has never been practicality, now has it? But I tell you what, once I finish this scarf I’ll be looking for something to knit that isn’t mile after mile of garter stitch. 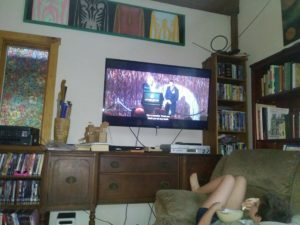 We ended the evening with Iron Man and popcorn for those that could have it. I’ve started on a quest to watch the Marvel Universe movies in story order. My track record for watching media is not stellar, but I keep trying, because I like to know what’s going on in conversations and memes. True confession: until last night, I didn’t know who Tony Stark was. Sigh. Yeah, I pretty much live under a pop culture rock. Here’s a gratuitous picture of my dog being a dog, because he makes me happy with his dogness! 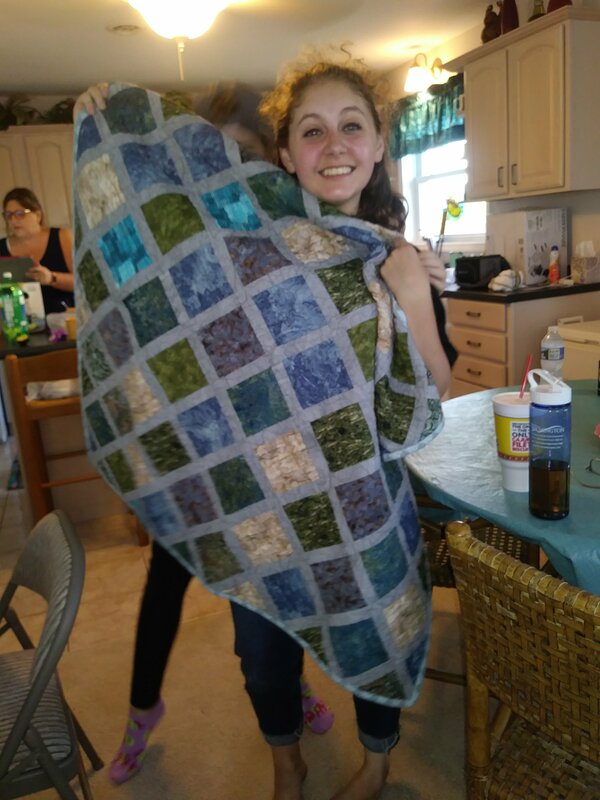 This entry was posted on May 13, 2018, in cass entertains herself, cass has goals, cass makes things, cass takes pictures.